Please contact us if you want to receive more press information or visual material. Login to download press kits. In 2005, 2009 and 2012, Museum Van Loon already graciously opened its historical rooms for Foam. The two museums are located opposite each other, on either side of the Keizersgracht. Since Foam will be closing its doors temporarily to prepare its major exhibition Helmut Newton – A Retrospective, Foam and Museum van Loon are again organising an exhibition together, called Second Skin. In this exciting collaboration between the two institutions, five contemporary artists explore the human body through photography and film. Museum van Loon has traditionally been home to a large amount of portraiture, one of the most classical forms of corporeal representation. In Second Skin five artists respond to this genre by taking the image of our physical ‘self’ and commenting on it, manipulating it, distorting and distancing it. Although the body is in the first place a given, the artists make clear the extent to which the presentation of it is a construct, often to a great degree controlled by us. In Museum van Loon contemporary photographic variations on the genre are displayed next to the historical portraits of the family. By means of powerful image manipulation, artist Asger Carlsen (b. 1973, Denmark) molds the bodies of his models into strange new forms of expression. In his series Illustrated People, Thomas Mailaender (b. 1979, France) makes the body function as the bearer of images by burning a selection of negatives from the Archive of Modern Conflict directly onto the skin of his models with an ultraviolet lamp and photographing them before the skin heals. Shai Langen (b. 1989, the Netherlands) creates actual second skins that distort the body, then records the results on film. Manon Wertenbroek (b. 1991, Switzerland) takes a fresh look at the portrait genre, investigating the representation of her brother, from whom she was estranged since childhood. At the same time he is swallowed up as a kind of prop in the scenes she creates. By contrast, Koen Hauser (b. 1972, the Netherlands) brings the body portrayed to life by blending it into one and the same portrait. All five artists throw a new and unexpected light on self-representation, a theme that touches upon the topicality of selfies and our digital personalities on social media. The playful, ironic, visually captivating and multi-layered subject matter of Second Skin makes it a showcase for contemporary photography and the use of visual manipulation. 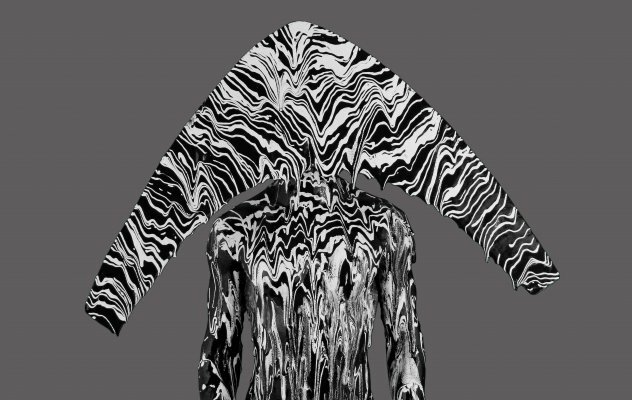 Foam in Van Look IV | Second Skin can be seen from 3 June – 18 September 2016 at Museum Van Loon. Open daily from 10.00 - 17.00 hrs. Tickets: € 9,00. For information and visual material contact the Press Office of Foam, e-mail pressoffice@foam.org or call +31 (0)20 5516500. Museum Van Loon: Valentine Rijsterborgh, e-mail valentine@museumvanloon.nl, telephone +31 (0)20 6245255.